HIT! 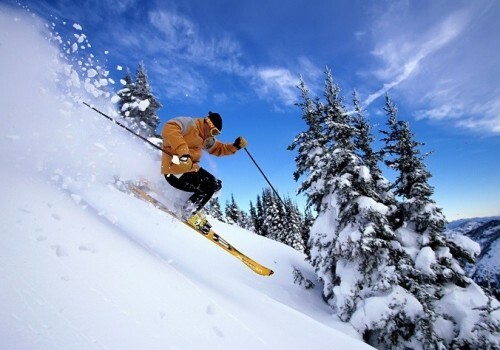 Ski holidays in France: 1 week accommodation & ski pass for only €69! UPDATE 20.3.2019: Snowtrex launched Crazy Booking Days and you can now get 1 week of accommodation in France + 6 day ski pass for only €69!!! BOOK NOW, check screenshot! Snowtrex once again brings some super crazy deals! This time you can buy 1 week of accommodation together with 6 day ski pass for decent resort in France for only €79! This offer is valid for 4-person apartment Les Chalets du Thabor located in ski resort Valfréjus. Valfréjus offers 65 kilometres of pistes and 12 lifts which is more than enough for your 6 days of skiing or snowboarding. This resort is famous for deep snow ideal for freeriding! 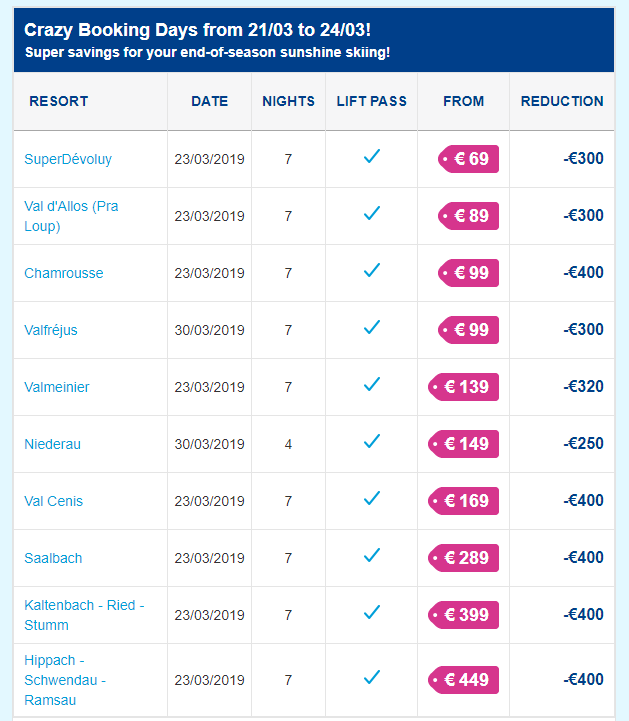 Ski pass included in this offer also allows 1 day skiing in famous Three Valleys resort which is located just 18 km away and connected with ski bus. Hurry up with booking, this price won’t last too long! « Laudamotion celebrates 1st birthday: 21 new routes and €5 voucher for everyone!! !